Trading options is an advanced market strategy, as it involves derivative investment products, semi-complicated math, and leverage. However, because of the leverage, it can also provide lucrative returns. If you are considering options trading, here are a few things you should know. To start, remember that options can be both calls and puts. If you are purchasing a call option, you are purchasing the right to buy a stock at a specific price. If you are purchasing a put option, you are purchasing the right to sell a stock at a specific price. Many people purchase call options because of the leverage. For the same cost in dollars, you can purchase a lot more shares using options than buying the shares directly. Take, for example, RY. It currently trades around $50.00. For $50, you can buy one share. However, for the same $50, you can buy about 10 “in-the-money” options contracts, which would be equal to 1,000 shares if you exercised the options. Furthermore, if the stock price is higher than the strike price plus the premium paid, the trade will be profitable. On the opposite side, you can buy a put. A put guarantees you the option to sell a security at a specific price. 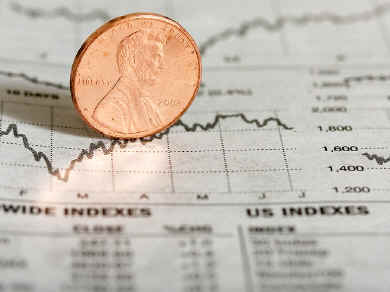 People purchase put options when they believe that the stock’s price will decrease. If the stock price is below the strike price by more than the option premium, the trade will be profitable. As you become more comfortable with the basics of options trading, you can start with advanced trades. These are known as spreads, and there are many different versions, each with its own purpose. Spreads are trades that involve two or more options and are designed to limit risk or be used in certain market conditions. Given their nature, they are more advanced, but as you become comfortable with trading options, these will prove to be very useful.